Idaho Spud candy bars. There are 18, 1.5oz bars per box. Delicious chocolate, coconut and marshmallow. Made in the USA. Always try to send gifts from where I visit to family / friends. 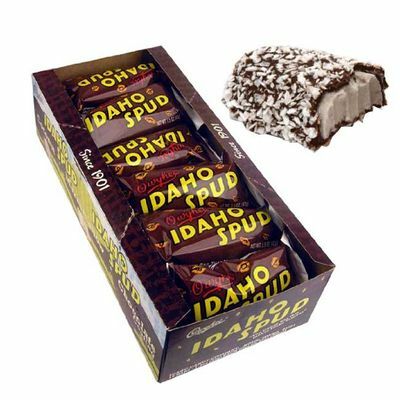 The Idaho Spud Bars were the perfect thing.